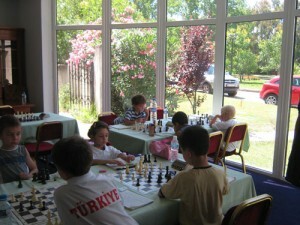 The highest rated players started showing consistency in the round 4 of the European School Chess Championship 2012. In the U17 group CM Cankut Emiroglu and Agil Pirverdiyev are sharing now the lead with 3,5/4, a full point ahead of competition. The U15 section is in a similar situation with CM Sanal Vahap and FM Ali Marandi Cemil Can leading with 3,5/4, while the U13 repeats the pattern with Volkan Sevgi and Bulat Murtazin ahead of competition.